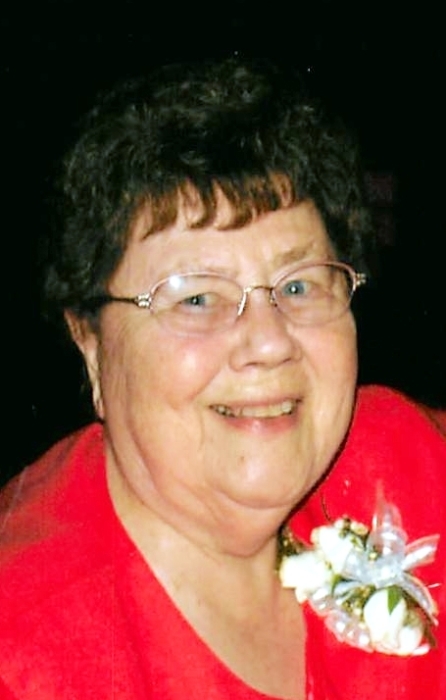 Emma Jean Carner,89, of Rozetta, II passed away at 6:00 pm, Monday, April 1, 2019 at the Monmouth Nursing Home, Monmouth, IL. She was born December 18, 1929 in Mercer County, IL, the daughter of Harry Claude and Nellie Kathryn (Simpson) Thompson. She was raised and educated in rural Mercer County Schools later graduating from Monmouth High School in 1948. Emma Jean attended Monmouth College for 2 years before graduating from Illinois State University Teachers College in 1953. Emma Jean married Robert G. Carner on February 14, 1953 in Monmouth and he passed away March 12, 2018. Emma Jean worked Peterson’s Appliance Store in Monmouth and later for the Yorkwood School District #225 for 22 years as a Home Economics Teacher. She was the assistant youth advisor for Henderson County, IL, 4-H leader and 10 year member. She also served as a 4-H Judge in Henderson and Warren Counties. She served as the family nutrition program coordinator for the University of Illinois Extension in Warren and Henderson Counties, and was the program coordinator for Adopt A Grandparent program in Warren Co where she was known as “Grandma Carner” to many. Being around and helping children was her passion. She was a member of the First Christian Church of Monmouth where she was a Sunday School Teacher and Superintendent of the Primary Department. She was a member of the Sweet Adeline’s Group. She was a board member of the Union School District #115 where she served as Secretary of the Board. She was a member of DAR, the Henderson Co. Retired Teachers, the Warren-Henderson County Home Economist, Henderson County Home and Community Education, Illinois Education Association, I.V.H.E.T.A, IVA and AVA. She enjoyed sewing, cooking and reading. Survivors include her four children, Janine (Mike) Todd of Camdenton, MO, Lawrence (Suzanne) Carner of Centerton, AR, Kathryn (Kevin) Flatt of Monmouth, and Betty (Brad) Martin of Monmouth. Also surviving are six grandchildren, Jamie (Andrea) Martin, Justin (Hilary) Martin, Cody (Lynn) Flatt, Chase (Katey) Flatt, Michael (Amanda) Carner, Daniel (Danyll) Carner; ten great grandchildren; Lincoln, Reese, Tate, Kennedy, Connor, Jack, Braxton, Chesney, Keaton and Gregory; nephew, John Carner; niece, Linda Thompson and dear friend Amy Rogers. She was preceded in death by her parents, and one brother, John Clyde Thompson. Funeral Services will be at 3:00 p.m., Saturday, April 6, 2019 at McGuire & Davies Funeral Home and Crematory, Monmouth. Interment will be in Warren County Memorial Park, Monmouth. Visitation will be prior to the service from 1:30-3:00 p.m. at the funeral home. Memorials can be made to the Backpack Program or the Western Illinois Animal Rescue.